Buying your set of wheels is not an easy task. There are a lot of things to consider; the car make, model, price, size, interior and exterior, and engine performance. But before you get to the littlest details, it’s the automaker that you have to choose first. If there’s one country that is known for having high-technology automobile plants, it’s Japan. The Land of the Rising Sun has been globally competent when it comes housing companies that are famous for manufacturing high-quality automobiles. One of the most famous automakers that is housed in Japan is Mazda. In the year 2007, Mazda impressively sold 1.3 million automobiles in terms of global sales. While in the year 2011, this car make became the 15th biggest car manufacturer in terms of global production. Now, if you are keen in purchasing a mid-sized crossover SUV model from this credible car company, you’d better know about the Mazda CX-7. It is considered the better “replacement” for Mazda’s Navajo model, since the latter was discontinued in the year 1994. However, this SUV did not get impressive figures when it comes to sales mainly because it fits between a compact and a mid-size crossover. Considered half-baked in either category, the Mazda CX-7 seemed to be just a second choice for expert automobile customers. Another factor that affected its sales rate is the turbo-charged model that gathered a not-so-good fuel economy rating. Fortunately, Mazda decided not to let go of this model (unlike what it did in Navajo), but held onto the model’s potential. Hence, in the year 2010, a line-up of this automobile model sprouted. From a non-economical mid-sized crossover SUV, the model was re-invented and most of the issues were dealt with the utmost effort. If you are eyeing a Mazda CX-7 2010 model, this article talks about your prospect automobile. So, sit back and get ready to learn more about the model detail by detail. iSV – This is the base version. It comes with a 2.5-liter MZR DOHC 4-cylinder engine that is naturally aspirated. iSport – This is the newer version next to iSV. Like the iSV version, this also comes with a 2.5-liter MZR DOHC 4-cylinder engine that is naturally aspirated. sTouring – This is the “upscale” version of Mazda CX-7 2010 and is also available with the all-wheel drive model. This version is being offered in 2.3-liter engine that is turbo-charged. sGrand Touring – Considered as CX-7’s top version, this also comes in an all-wheel drive model. Like the sTouring, this is also being offered in 2.3-liter engine that is turbo-charged. 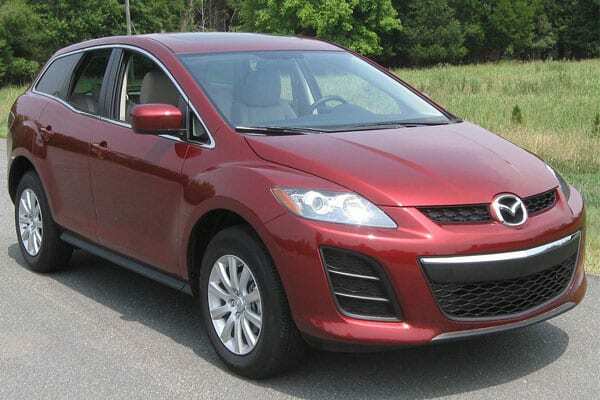 The Mazda CX-7 2010 line-up offers better versions of small crossover utility vehicles that come in spruced up automobile interior and exterior, an improved base engine, and a cabin that has lesser engine noise. The exterior is one of the best things that you’d love about this car model. Although the car make decided to retain the model’s tough-looking profile (which includes the windshield that is inclined 66-degree), there had been improvements on the front and rear areas of the Mazda CX-7 2010 line-up: the Mazda logo and grilles are larger and more emphasized. However, most of the conventional exterior features, as Mazda considered just fine, were retained to keep the model not too far from its earlier versions in terms of outer design. Some of these features are the wheel wells, the sheetmetal that is creased, the hood line that is designed low and sleek, and the bulging fenders of the automobile. Taking a look at the vehicle’s interior, you’d find it a lot more like a sport sedan and less like a utility vehicle. But worry not, it’s just the way it looks. The good part is, the features are equally useful like what a crossover SUV should have. The Mazda CX-7 2010’s instrument panel, impressively, is equipped with a thin shelf on the upper area. This shelf contains audio display, as well as the vehicle’s climate-control system display that is upon your line of vision. One thing that you’ll love is the brand new monochromatic trip system that is placed beside the display; it is also called the color navigation screen. The gauges are hooded (which you might probably like) and the vehicle’s steering wheel design has been spruced up: Audio and Bluetooth controls (with calling functions) are at the reach of your fingertips. Even better, the vents are worked up with the subtle bright finish that increases aesthetic. Seating and space capacity is also one of the things you have to consider when buying a Mazda CX-7 2010 model, whether it be an iSV, iSport, sTouring, or sGrand Touring. When it comes to legroom in the backseat area, there is limited space available. The backseat area’s width leaves a barely enough space for three adult passengers. Although the vehicle offers ample headroom, the seat’s low position might make knees elevated, thus, leaving a shortage of legroom. The model also doesn’t have a generous amount of space in the cargo area (if you are going to compare it with other automobiles). If you don’t have any backseat passenger and would want to stretch out your cargo area’s space capacity, you can do it by folding the backseats forward. This will give you a 70-inch flat cargo floor that is wide and tall enough to house a small table or a small cushion. On a lighter note, the interior is still pleasantly functional. Fortunately, you won’t find more disappointments with Mazda CX-7 2010’s front seats. The area is wide enough and the seats are rather comfortably firm. The vehicle’s driving area offers an ample view ahead. The down side is that there is a considerable blind spot and a not-so-good rear vision when you’re parking the vehicle–but you’ll find a way to get used to it. The model’s center console compartments are re-designed and are even more functional than before, while the cubbies were made smaller. When it comes to comfort, the Mazda CX-7 2010 line-up did not miss what is important. CX-7 boasts of a beefed up sound insulation. That only means one thing: you and your passengers will get to have a nice, quiet, comfortable ride without having to worry about the buzzing engine sounds. An innovative lower-door insulation is also added in the entire Mazda CX-7 2010 line-up. Even better, the sTouring and sGrand Touring models come with hood padding, plus a strut-tower insulation. These features help in keeping engine sound and even road noise at bay. With the earlier CX-7 models that gathered a disappointing reputation of being a noisy automobile, it is a great thing that the 2010 models are re-invented for a quieter driving experience. As for the seat materials, Mazda CX-7 2010 is spruced up and changed its plastic material for the instrument panel and door panels. This way, the vehicle’s interior will less likely attract dirt and dust. Hence, it will be a lot easier to clean the automobile’s interior. However, there is a slight difference between the “i” and “s” models when it comes to the upholstery; the sTouring and sGrand touring, as these are considered upscale models, are designed in leather upholstery, while the iSV and iSport lack such. All versions of this vehicle (except iSV) are well-equipped with Bluetooth interface which is hands-free. With this, streaming audio via Bluetooth is possible. You can have Bose Centerpoint as your optional audio system. If you’re interested in knowing what the sGrand Touring offers, it has an automatic climate control system, a moon roof, navigation system, an entry system that is SmartKey, headlamps made from xenon HID, and rain-sensing wipers. Even better, the sGrand Touring model has the impressive Blind Spot Monitoring System. The exterior for Mazda CX-7 2010 models can be considered similar with each other compared with the Touring models. While the “s” models get the 18-inch and 19-inch wheels, the “i” models instead come with 17-inch alloy wheels. Additionally, the “s” models are built with extra exterior features like mirrors that are turn-signal integrated and door handles with a chrome finish. If you are a practical driver who’s more into functionality, fuel economy, and engine performance, you’ll find the iSV and iSport models suiting than the upscale versions. But if you are interested in utmost driving comfort, exterior and interior aesthetic, and are the kind of pedal-to-the-metal driver, the sTouring and sGrand Touring models perfectly suit you. When it comes to normal driving, the “s” models can be accelerated easily. Of course, this is what the upscale models offer that you won’t get from the iSV and iSport. Although it is not necessary to use downshifts when driving the “s” models, you’d be impressed to know that 90% of the automobile’s peak torque is easily reached at 2,000 revolutions per minute–and this goes all the way to 5,000RPM! The downside with the Touring models is this: there is a coarser sound compared with the “i” models. Thankfully, the Mazda CX-7 2010 line-up engines are all fuel-efficient as the iSV has a number of 20mpg on city-driving and 28mpg on highway-driving. Moreover, the Touring models’ fuel economy is improved with a number of 18mpg on city-driving and 25mpg on highway-driving. The Touring models are also upgraded to accept regular fuel. Driving experience is also one of the best things you’d love about the Mazda CX-7 2010 line-up. Whilst on board, you will not have a hard time handling this model, especially if you enjoy driving a lot. As a matter of fact, you’d be surprised to discover how great the CX-7 is when it comes to trailing tight corners, considering that this is such a tall automobile. The Mazda CX-7 2010 is also difficult to agitate, even if you’re driving in bad road conditions. The only catch is that the steering wheel is not as weighted as you’d expect it to be, but you’ll probably overlook that because this vehicle is a good companion that gives you a nice driving experience in terms of speed and handling. Curious about the safety features of Mazda CX-7 2010? Worry not about beefed up safety because the models offer a standard electronic stability control. The whole line-up also has anti-lock brakes, airbags on the front side and on the side curtain that cover both interior rows. You’ll be glad to know that this model earned a 5-star rating in federal NCAP tests. It also gathered a majority of good results based on IIHS testing. 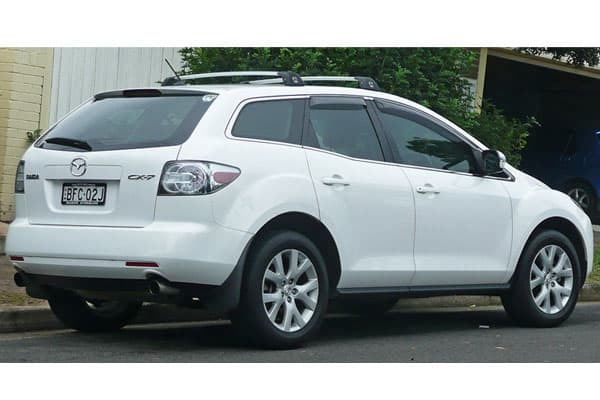 However, the Mazda CX-7 2010 only got a marginal rating when it comes to the rear-impact category. Fortunately, the low rating only falls on the rear area of the vehicle and not on the front. The Mazda CX-7 2010 line-up has everything you need, whether you’re a practical car driver or a sporty automobile enthusiast. With the models iSV, iSport, sTouring, and sGrand Touring, you’ll be able to choose from functional vehicle that’s fit for everyday driving to upscale-looking sports car that can take you miles within minutes. 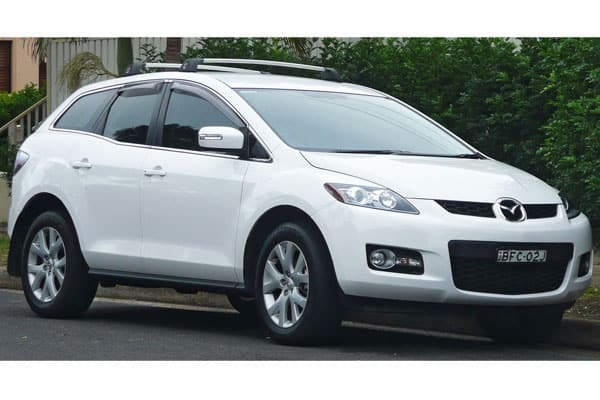 In terms of features, you’re a winner in choosing the Mazda CX-7 2010. You’ll get all the important stuff from interior functions, entertainment, fuel economy, sound insulation, speed, and exterior design. And the price? Ranging from $33,990 to $45,990, it’s not too much for a feature-rich vehicle, right? After all, you really have to spend a considerable amount of money if you want an automobile that’s top-quality. Go to your nearest Mazda car dealer now and meet your potential set of wheels–a Mazda CX-7 2010 model!